Bob Iger, chief executive of Disney and a member of Apple's board of directors, recently purchased $1 million worth of shares in Apple, signaling he is bullish in the wake of the stock's recent losses. Iger's purchase of $1 million worth of AAPL stock was revealed in a filing with the U.S. Securities and Exchange Commission discovered by Business Insider. 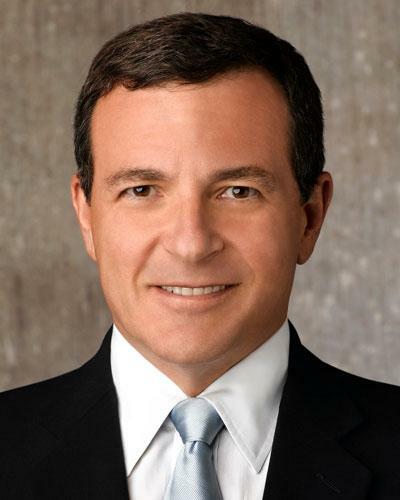 The purchase comes just a week after Iger exercised a million options on Disney stock, which netted him $17.9 million. Iger also bought $1 million worth of shares of Apple a year ago, when the stock was priced at $375. That purchase coincided with Iger joining Apple's board, for which he was also awarded more than $84,000 in stock. The Disney CEO helped to rebuild the partnership between disney and Steve Jobs' Pixar after the two companies grew estranged under the leadership of Iger's predecessor, Michael Eisner. Jobs and Iger also worked together to bring Disney's content to iTunes, at a time when other studios hesitated to ink a deal with Apple. Apple's stock hit a six-month low of $527.28 last week. The stock's struggles have been blamed on a variety of issues, ranging from concerns over a U.S. capital gains tax rate hike expected in 2013 to what was seen as a disappointing September quarter with sales of 14 million iPads. One analyst made headlines this week by calling the selloff of Apple's stock "insanely insane." Brian White of Topeka Capital Markets advised investors to buy in and take advantage of Apple's low stock price.